The attendance system plays a very important role in the modern enterprise’s operation, and the security of the building has always been a matter of concern to the people. 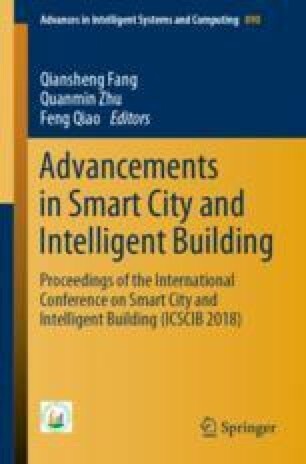 Based on networked surveillance video, this paper integrates the attendance and security functions and fuses video image processing, deep learning, and face recognition to design an intelligent attendance and security system. We propose a sliding average method to identify persons’ identities. The experimental results verify the effectiveness of our method. The false reject rate (FRR) in our system reaches 0.51%, the false accept rate (FAR) reaches 2.52%, and the correct identification rate reaches 98.85%. The system is applied to some video surveillance areas, with advantages of nonintrusive, passive attendance and multiple persons’ attendance at the same time. This work was supported by National Key Research and Development Project of China (No. 2016YFB0901900 and 2017YFC0704100 entitled new generation intelligent building platform techniques) and the National Natural Science Foundation of China (No. 61425027). This work was also supported by the National 111 International Collaboration Project (B06002, BP2018006) and Special Fund of Suzhou-Tsinghua Innovation Leading Action (Project Number: 2016SZ0202). We appreciate constructive comments from the anonymous reviewers. This study has been conducted with ethics approval obtained from Institutional Review Board of Tsinghua University, Beijing, China.